The BIG PITMAN Birthday Sale Week! Yes, that's right! 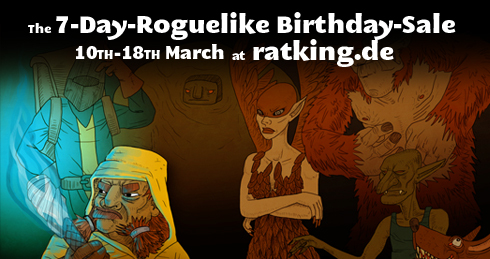 On 10th of March the Seven Day Roguelike Challenge 2012 started, and this means our beloved little Roguelike PITMAN is becoming one year old! You don't know what it is? No problem, watch a trailer right here! Saturday, 03/10/12: PITMAN is 66% off on: IndieCity! Special for today: An insightful interview with both Jana and Friedrich on truepcgaming.com about the development of PITMAN, and some general tidbits! Sunday, 03/11/12: PITMAN is still 66% off on IndieCity! Special for today: The first longer posting about our 7DRLC 2012 entry, "Me Against The Mutants"!  It offers insights of the development process and has screenshots! Monday, 03/12/12: PITMAN is now 66% off on IndieCity AND LittleIndie! Special for today: An extensive interview from Jana with Andreas Podgurski, administrator of Little Indie, about indies, German indies, indie indies, Little Indie and achievements. Read it in English or German! Wednesday, 03/14/12: PITMAN is now 66% off on LittleIndie and Indievania! Special for today: A little break from all the stress this week - have fun! :-) (That is DRM-free and can be enjoyed best by turning off your computer, your monitor, and going for a walk in the park! Thursday, 03/15/12: PITMAN is now 66% off on Indievania and Desura! Special for today: A new update from our 7DRL Challenge entry: read about the process and play a first prototype! Friday, 03/16/12: PITMAN is STILL 66% off on Indievania and Desura! Special for today: So you all bought and played this little roguelike called PITMAN, correct? You also died a lot, amirite? Enemies and hunger every time, huh? Well, don't fret no more, here comes the ultimate guide to help you out! Saturday, 03/17/12 + Sunday, 03/18/12: PITMAN is not only 66% off on Desura, but also 50% off on iTunes! Special for today: Mindfuck in your browser! Come back after the weekend for some kind of post-mortem!